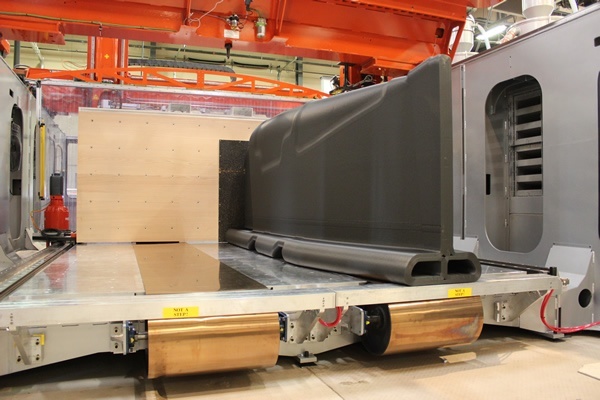 Thermwood has released a Vertical Layer Printing (VLP) option for its LSAM (Large Scale Additive Manufacturing) machines. This option allows parts to be printed which are as long as the machine table itself. It does this by adding a second moving table, mounted perpendicular to the main fixed horizontal table. As layers are printed, this vertical table moves after each layer is printed, growing the part along the length of the machine rather than growing it upward. 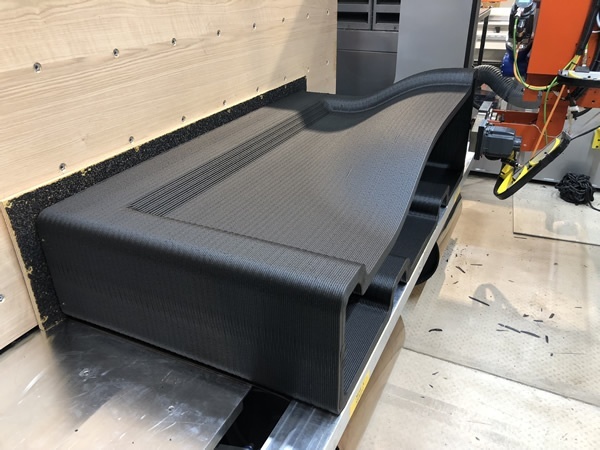 Thermwood’s “controlled cooling” print technology minimizes sag, which might otherwise pose a serious problem if the part were kept at an elevated temperature, as is common with traditional thermoplastic composite printing. 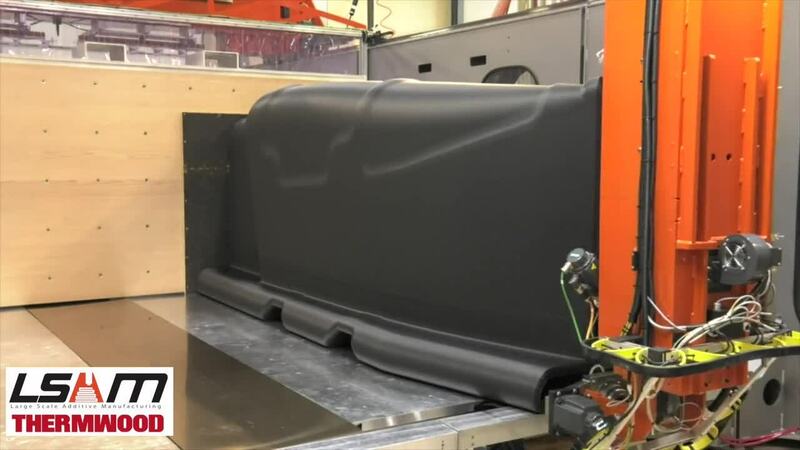 As previously announced, one of the initial parts printed with this system is a 12 foot long, carbon fiber reinforced ABS trim fixture for use in the production of the Boeing 777X aircraft. During development, Thermwood has vertically printed and validated the use of a variety of polymers, including high temperature materials such as PSU, PESU and PEI with good results. It appears that parts printed using VLP are structurally and functionally identical to parts printed in the traditional horizontal layer orientation. 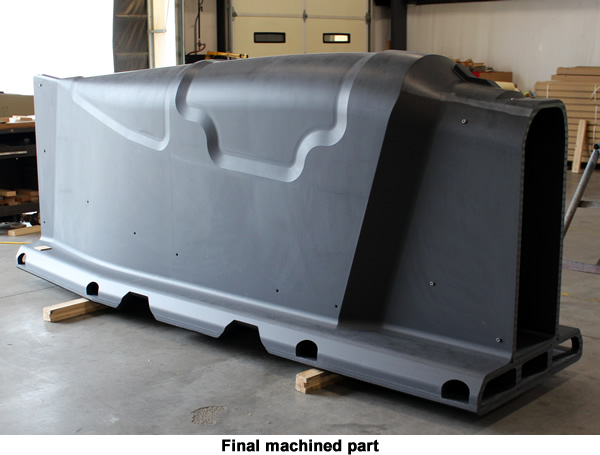 This means that, just as with traditional horizontally printed LSAM parts, molds and tools printed using VLP maintain vacuum in an autoclave to aerospace standards right from the machine, without the need for any type of external coating. 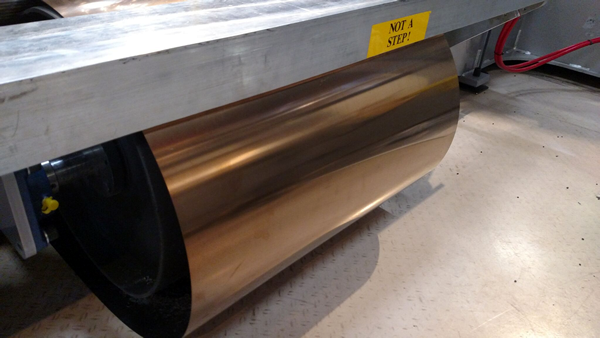 During VLP printing, the growing part rides on Teflon coated stainless steel belts. The belts and table drives (which can be fitted to any LSAM that is at least 20 feet long), have been designed to process parts which weigh up to fifty thousand pounds. Thermwood believes that this is more than adequate for anything customers are considering today. The main advantage of Vertical Layer Printing is that long parts can be printed in one piece. It requires time, labor and effort to machine mating surfaces, glue them together and wait for the adhesive to completely cure. It may also require more than one bonding session for a larger part which typically requires more time and effort than simply printing the part in one piece. Also, gluing printed parts together generally only works for certain room temperature or low temperature polymers. Higher temperature materials are generally chemically and solvent resistant enough that they don’t bond well enough for autoclave use. This means if you want to 3D print a really large autoclave tool using a high temperature polymer, printing it in one piece is the only real option. Thermwood’s VLP now makes this both feasible and practical. VLP has been designed so that the machine can be reconfigured from standard horizontal layer printing to vertical layer printing or back again in a matter of a few hours. 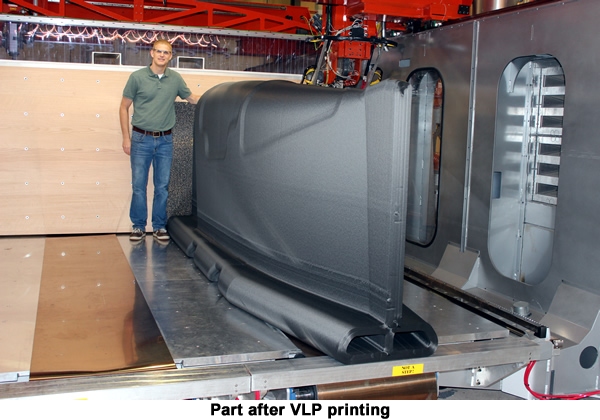 It is clear that technology exists, right now today, to 3D print large autoclave capable aerospace tooling on a production basis. Thermwood has already been granted patent protection on key aspects of its Vertical Layer Print technology.